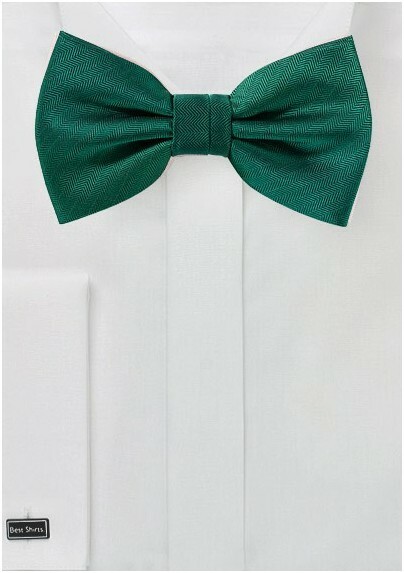 With this latest pre-tied bow tie, you will strike the perfect balance of fashionable and versatile. Feel the rich texture and see the vibrant color for yourself. 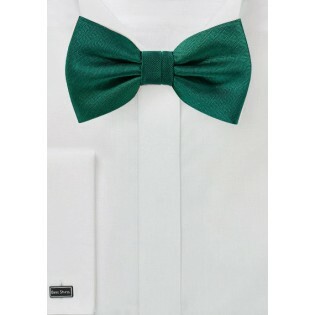 The dark pine color of the hunter green adds depth to the tie, as well. The versatile solid color design is decorated by tightly textured zigzagging lines that form a rich herringbone weave. This texture adds volume to the solid color and mattes it a bit without distorting its radiant sheen. An item perfect for any business or formal occasion.